One of the biggest challenges in the criminal justice system and a leading cause of wrongful convictions is the use of informants, who have something to gain as witnesses in criminal proceedings. Last week, President Trump decried the fact that prosecutors would be using his longtime attorney against him as they continue their investigation into the Russian influence on the White House. For many, including Ken White, this struck them as a very odd turn. Ken White, a former federal prosecutor and now an L.A. defense attorney, offers his thoughts in an insightful Washington Post op-ed (see: Witnesses ‘flipping’ does corrupt justice. But not because they’re ‘rats.’). Here is the thing – Mr. Trump is right, but he is right for the wrong reasons. Mr. White lays it out. It is routine that prosecutors coerce defendants to cooperate, and even incentivize them to lie in order to please prosecutors and get reduced sentences. 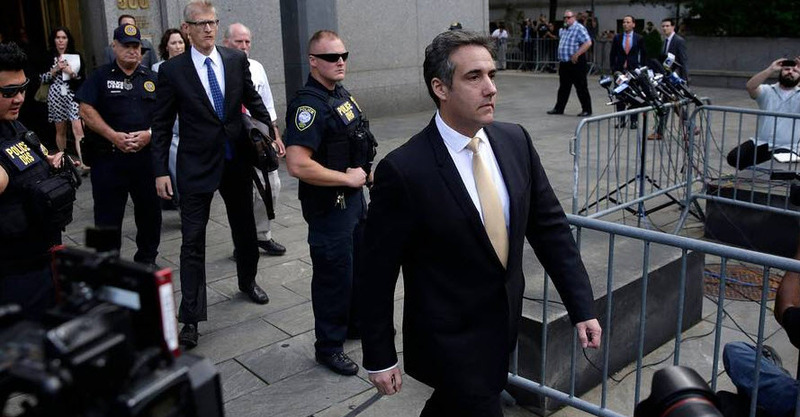 Unlike in many cases, Michel Cohen, Mr. Trump’s longtime personal attorney, isn’t just privileged, he knows Mr. Trump well. This is the not the problem that normally hits the criminal justice system. Mr. White references the Orange County scandal where sheriffs for years have placed a network of jailhouse snitches next to notorious murder defendants, tracked by law enforcement but concealed from defense attorneys. Mr. White argues, “Criminal defendants routinely find themselves accused by alleged co-conspirators they don’t even recognize. In the Orange County scandal it was only by happenstance and the dogged work of a public defender, Scott Sanders, who stumbled on the files, that the extent of the program was uncovered. It took years of hearings to get to the truth. And still, despite FBI and Attorney General investigations, there have been virtually no consequences for the wrongdoers, other than some alleged murderers have gone free and others have had their penalties reduced. Federal sentencing guidelines contribute to the problem and add to prosecutorial power, Mr. White adds. After all, this was the man, long before he entered politics, who took out a full page ad in the New York Post to demand the death penalty for the Central Park 5 (despite the fact that the attack was not a murder). Those five defendants have since been exonerated and released – not that Mr. Trump cares. Next : Monday Morning Thoughts: Why Only Four Candidates for School Board? You certainly would not know that from The Vanguard editorials. I can’t comment on this because I’d be bringing up national presidential politics. Any proof that prosecutors routinely incentivize perjury? Pretty broad brush, but that’s the Vanguard way, eh? Apparently it’s the Washington Post too, but let’s take cheap shots while we have them. PS, I believe his statement is fairly accurate. After all, why do you think that jailhouse informants are a leading cause of wrongful convictions? could it be that they need to tell prosecutors what they want to hear to get their deal? Isn’t that an incentive to lie? Am I wrong? Do you need to see the research on this, the Innocence Project has a pretty extensive collection of data. It’s a good thing we live in Yolo county where the DA prefers to offer defendants their day in court rather than “coerce defendants to cooperate”. Maybe you could ask Jeff Reisig to write an editorial on how he is dedicated to offering defendants their constitutional rights to a trial? In a routine manner, in a way that has become common or expected. Done by rote or habit, as part of a routine, without attention or concern. You either have to believe that 100% of people agree to lie or that almost no one is coming out and naming the names of the people that told them to lie. Jim: Aradoz in the Justin Gonzalez trial. I don’t believe 100 percent of the people are doing it 100% of the time, but it happens on a regular basis as a matter of routine. I can’t answer to “routine”, but at least as presented at the Citizens Academy, a citizens informational series of classes presented by Jeff Reisig, his prosecutorial team, members of the Public Defenders office and various police agencies, it is not unusual for prosecutors to “put pressure” on informants to testify in a favorable fashion. No one likes to use the word “lie” for obvious reasons, but they made it clear that appropriate framing of a response is a strategy that both police and informants use to secure convictions.